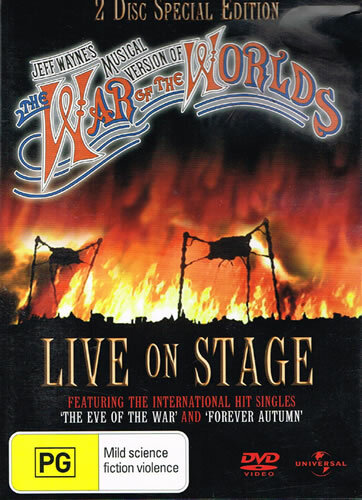 Jeff Wayne's Musical Version Of The War Of The Worlds Live On Stage! Australian pressing. 2 x DVDs. PAL, Region 2 & 4.